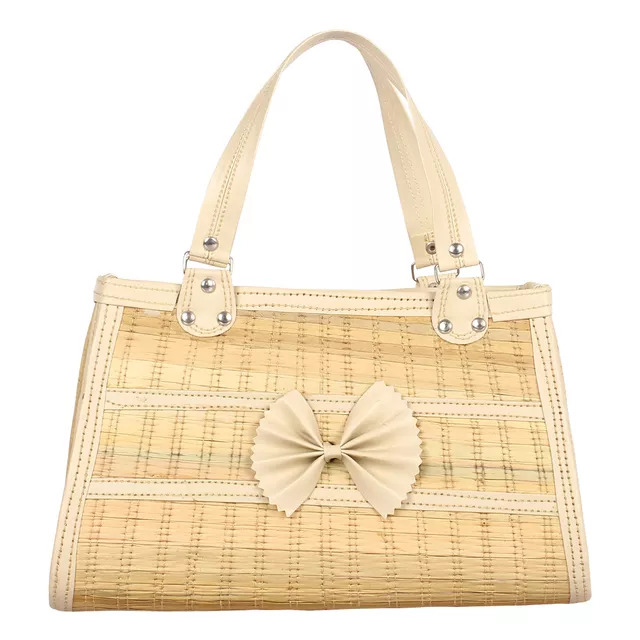 Pair this bag with your outfits and add a style statement to your outfit. 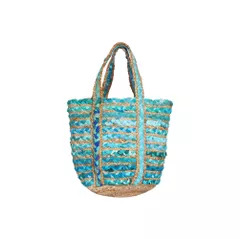 This boho-chic bag will also complement your ethnic sarees and outfits. 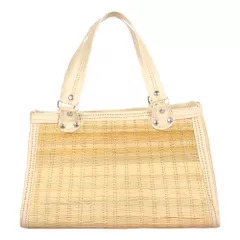 They have ample space to keep your essentials. 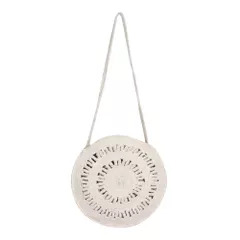 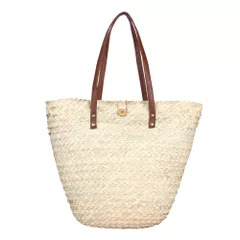 This bag is not only elegant but also an eco-friendly alternative to plastic. 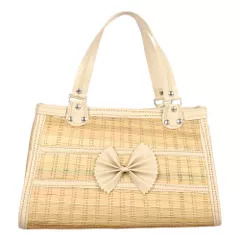 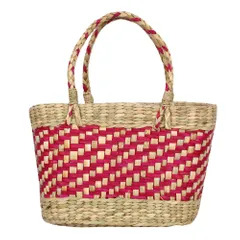 Material: This beauty is handwoven using dry grass and is designed beautifully with a bow in the centre. 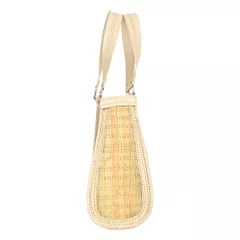 It has a polyester and cotton lining on the inside. 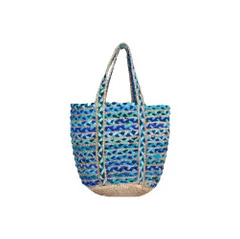 This bags is traditionally hand-woven in sequel pattern to provide superior quality. 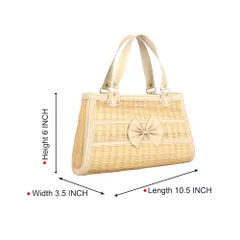 The length of the bag is 25 cm, breadth is 9 cm, and height is 19 cm. 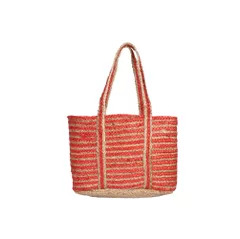 Are you looking for cooler alternatives to the common jute bag? 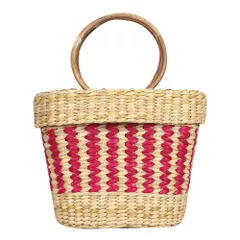 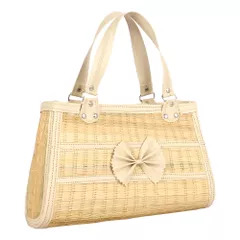 Habereindia brings to you exquisite bags from Manipur made from Dry grass. 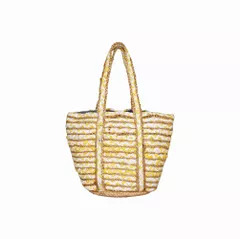 We have many variants in the dry-grass bag collection. 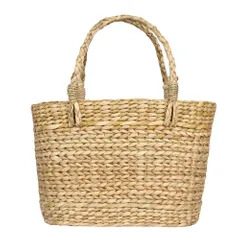 Our dry grass products look great even after years, and are very durable. 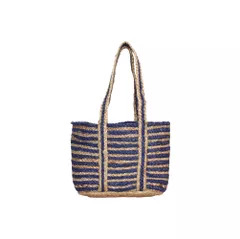 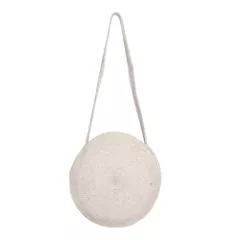 This bag is very portable and light and is just what you need to ditch plastic.